Istanbul is generally known with it’s historical places such as Blue Mosque, Hagia Sophia and Grand Bazaar but it also have beautiful beaches. One of them is unique with it’s turquoise sea color. 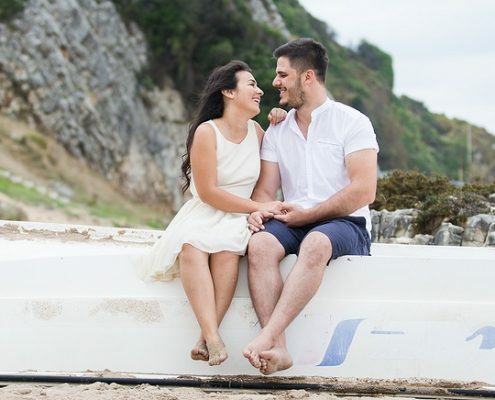 We had a Save The Date session with Sevgi and Sertan. They are florist so they made the beautiful bouquet that you’ll see on the photos. The best session type that I love to photograph is Save The Date. There is no time limit, no stress for getting dirt the dress, no limit for location and nobody calling you to hurry up. Here is another couple Selin & Gökay which we captured so many beautiful photos in this relax atmosphere.